Transportation, industrialization and energy production are to blame, according to locals. Vietnam’s capital city suffered exceeding dust concentration in 82 days in the first three months of the year, according to data collected by a top Vietnamese environment organization. The concentration of particulate matter 2.5 (PM2.5) in Hanoi during the year's first quarter was recorded at 63.2 µg/m3 each day, almost doubling the level of Ho Chi Minh City, the Hanoi-based Green Innovation and Development Center (GreenID) at the Vietnam Union of Science and Technology Associations said in a report. PM2.5 is equal to just a fraction of the width of a human hair and can get into the lungs and cause a number of diseases, including lung cancer. 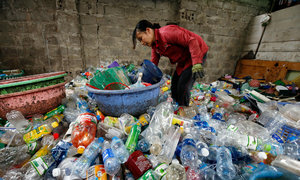 GreenID said its measurement is based on data collected at air quality monitoring station of the U.S. Embassy in Hanoi. The World Health Organization (WHO) guideline stipulates that PM2.5 should not exceed 10 μg/m3 per year and 25 μg/m3 per 24 hour. 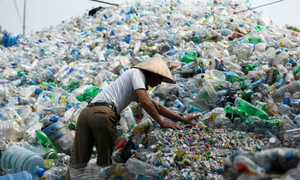 A survey on 1,000 Hanoi citizens conducted by GreenID showed that locals find transportation, industrialization and energy production are to blame for the air pollution in the city. 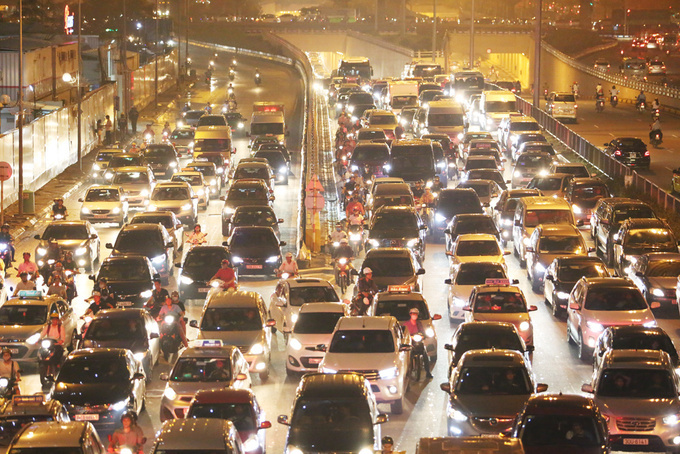 The organization has suggested the government promote clean air acts and tighten emission standards for vehicles and coal-fired power plants. Last year, Hanoi, which is home to more than 7.6 million people, enjoyed just 38 days of clean air as pollution levels rose to match China's smog-prone capital, Beijing, according to GreenID report. Annual average air pollution in Hanoi in 2017 was also four times higher than those deemed acceptable by the WHO, it said. 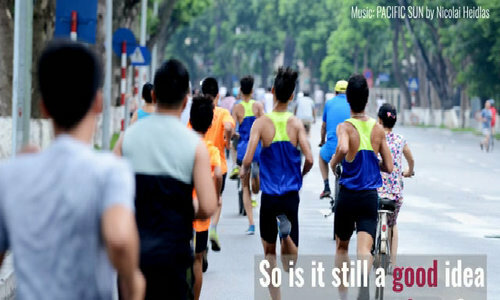 Should you stop exercising because of Hanoi's pollution? Vietnam has yet to have any specific data on the number of sickness cases related to air pollution but the city’s department of environment said the ratio of citizens that have pneumonia or have to be hospitalized for discomfort when breathing could be double by 2020 if the city does not have any means to reduce air pollution. 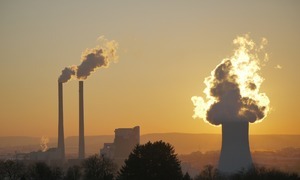 In a report released early this month, WHO estimates that around seven million people die every year from exposure to fine particles in polluted air that penetrate deep into the lungs and cardiovascular system, causing diseases including stroke, heart disease, lung cancer, chronic obstructive pulmonary diseases and respiratory infections, including pneumonia. The highest ambient air pollution levels are in the Eastern Mediterranean Region and in Southeast Asia, with annual mean levels often exceeding more than five times WHO limits, followed by low and middle-income cities in Africa and the Western Pacific.